This is a guest post by Patrick McNamara, a friend of the Spine and one of the writers behind the 450 to Detroit. We’ll be following along over the next few days as he, along with cohort Russell Young, embark on a four-day bicycle trek through Detroit. Our latest endeavor at The 450 begins tomorrow. Rusty and I are proud to bring you the D-Venture. Four days, three nights of urban backpacking, biking, and riding the bus in Detroit with the goal of producing investigative pieces on the subjects of homelessness in Detroit, Religion and the City of Detroit, and Urban Farms. We’ve created a schedule with places to visit and people to see. 1. The 450 is a home-grown project born out of enthusiasm and audacity. There are no sponsors for this trip, there is nobody to please. We aren’t here to tell you how great the city of Detroit is, and conduct cheery interviews with every new small business owner in Midtown. We’re doing it to talk to people all over town, keep our ears to the ground, and to investigate the realities of life in Detroit now. 2. Detroit is still a very racially polarized city. The black communities and white communities (as well as Hispanics, and other ethnic groups) are cleaved by literal and figurative lines all across the city and metro area. Drive across Eight Mile a couple times, or drive from Downtown to Grosse Pointe. Look closely at the patrons of various stores and nightclubs as you drive around the city and ask yourself if you would be welcomed there. All the “renaissance” happening in the city has not yet provided large-scale solutions for some of Detroit’s biggest problems. We want to do our part to close the gap between people who have lived beside each other, but separate for decades. 3. Detroit has too many human interest stories for anybody to develop a complete summation. Idealistic young people in an open community spotlight have provided more mainstream media sources endless amounts of juice for stories about Detroit’s Revitalization. At the same time, there is a whole backwash of opinions, stories, and humanity obscured by the “future is now” paradigm shift in media relating to Detroit. We want to take on some of Detroit’s heaviest issues. Starting now, the bar has been raised for quality, depth, and scope of the writing on this blog. 4. Anything could happen. As the unpredictability of something like this is the only thing you can predict, you’ll get the straight story either way. Also, we’ve worked in some free time for other, more impromptu stories to develop. This post also appears on The 450 to Detroit. 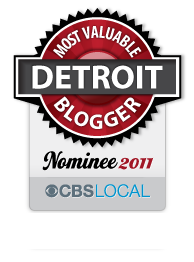 This entry was posted in Detroit and tagged bicycling, citizens of detroit, detroit, humanities, social change. Bookmark the permalink.